We’ll also be building a PENGUIN PETTING ZOO in an IGLOO!!!!! Also appearing will be the Happy Cup Ramen Truck!! And The Other Door will be creating some penguin-themed vodka drinks! And what’s a birthday celebration without a bit of cake? 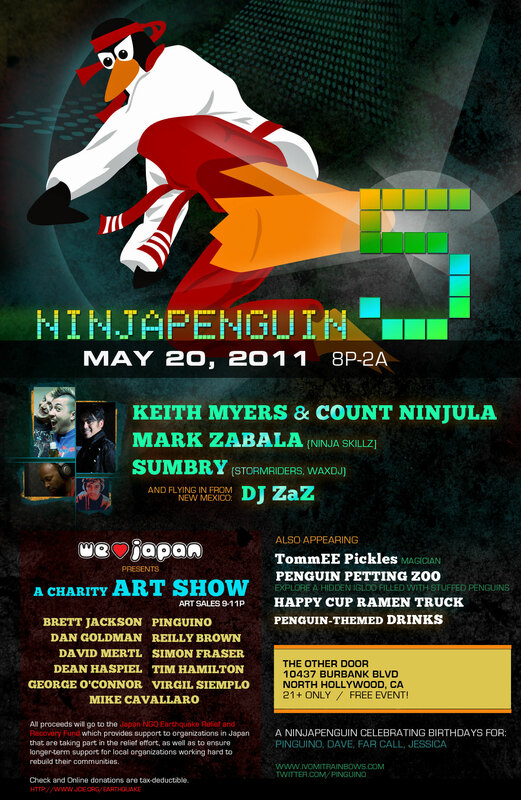 Ninjapenguin is FREE and 21+. It’s being held at The Other Door in North Hollywood, May 20 from 8p-2a. Penguin themed. Bring friends!